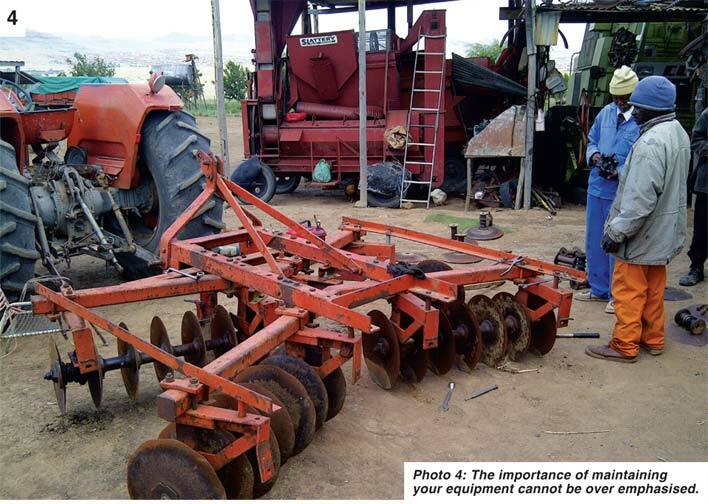 Farming, especially crop farming relies on mechanical equipment and all mechanical equipment has moving parts. All moving parts wear down after a period of time therefore they need continuous maintenance and attention to make sure that they are in good working order. 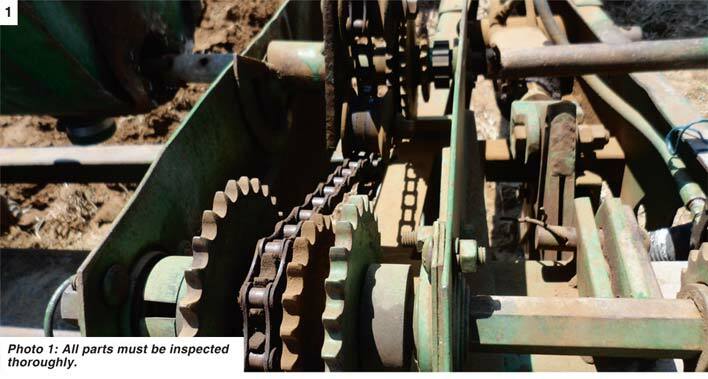 Bearings should be checked daily when the machine is operating and before it is put away for storage. You don’t want to leave a problem waiting for the next time the machine will work. Make sure bearings are running firmly and have no play. As soon as there is any movement or play the bearing should be replaced. Always keep bearings greased and make sure that dust covers are in place. It is also essential to make sure that you use good quality bearings when replacing old ones. There are many knock offs and inferior products on the market these days, make sure you purchase a product that will last. Make sure that all belts are firm and taught. Turn the belts and check that there are no breaks or cracks. Replace anything which looks worn. Chains tend to give trouble when they are not oiled and when the links are worn and old. If a chain starts to get worn then change it immediately. It is important to make sure that chains are running firmly and smoothly. If a chain is slightly droopy or loose then it should be tightened on the appropriate tensioning arm. Shafts should occasionally be assessed to make sure that they are firm and running true. If any shaft is slightly bent then it can cause many other problems. Make sure that the sprockets are rigid and that the teeth are not worn. If the teeth start to wear then the chain will start to slip causing many other problems. It is also essential that jockey sprockets are tight and turn smoothly. Make sure that an engine always has enough oil and that the oil filters are regularly changed. Oil filters should be changed every time the oil is replaced. Oil levels should be checked daily before the engine is even started. Make sure that the radiator is always full of water and that there are no leaks. These should also be changed at every service. 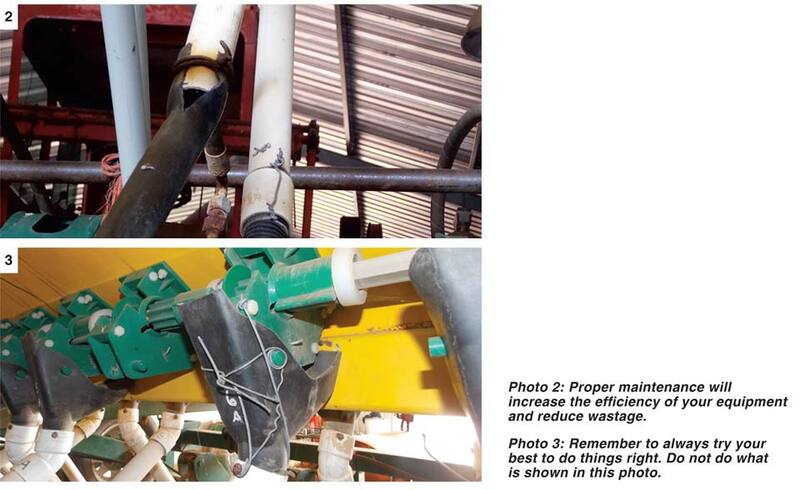 A fuel filter which is dirty will cause breaks in the fuel flow causing the tractor to cut out. When machines are operating in dusty circumstances then the air filters can fill up quickly. These should be blown out daily with a compressor from the inside to the outside. Certain equipment needs special attention such as planters and combines which are made up of lots of intricate parts. It is also essential to make sure these kinds of machinery are always in top shape as time is crucial when they are operating. Sometimes you may only have a limited time to work and breakdowns will only hold you up and may cost you getting in a crop or reduce your crop quality when harvesting. On these kinds of equipment there are finer parts that need to be checked over such as sieves, augers, blowers, planter plates and vacuum’s. The more meticulous we become in making sure that our machinery is in good working order the more time it will save us during the busy seasons. Make sure that you train your labour so that is becomes second nature to them to do routine checks such as these. By following a good maintenance plan you can significantly increase the lifespan of all your farm equipment. In farming we need to try and cut costs wherever possible, if simple routine maintenance can help to achieve this then it is essential that we do it as a priority.